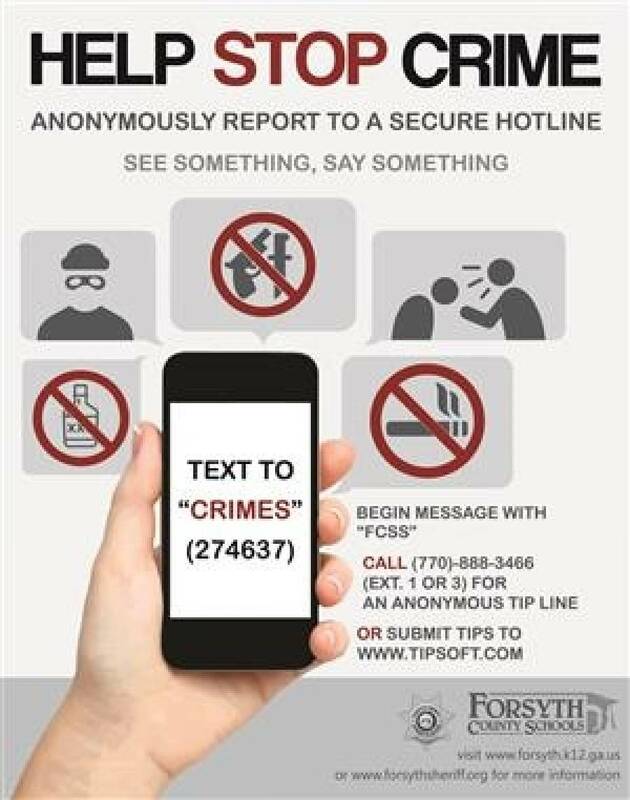 The Forsyth County Sheriff's Office and Forsyth County Schools work together to provide Campus Crime Stoppers. Crime Stoppers which provides an avenue for all members of the community to submit anonymous tips about non-urgent illegal activities such as unsolved cases, vandalism, theft, the sale and distribution of drugs, possession of weapons or information about crimes that are being planned on their schools' campus. Submitted from Forsyth County Board of Education Website.